Throughout history, Cleveland has stayed true to its roots of being upscale and for this reason 911 Restoration Cleveland strives to be the leading water damage company in the state of Ohio. We aim to preserve the city’s beautiful homes and buildings and are proud to be a part of keeping Cleveland above water. Water damage to a home can cause problems that will greatly decrease the property value if not properly taken care of professionally. Damage can start in one area of the home and quickly spread throughout causing major issues. Our water damage Cleveland team can help homeowner’s suffering from water problems efficiently and quickly put the issue behind you. 911 Restoration Cleveland brings the latest drying technology to every job, coupled with extensive knowledge on the subject to bring your home back to the original, beautiful state. Water damage can be the result of plumbing malfunctions including water heater leaks, pipe bursts from cold weather, toilet overflow allowing water to freely flow onto the floor, fire sprinkler malfunctioning or even sewage leaks. 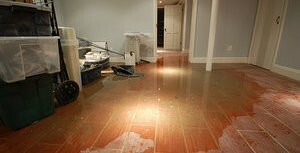 Water damage can occur from a wide array of sources. Damage can be the result of severe storms that lead to flooding. The quicker water can be cleaned up, the less damage will occur. Even a small leak can wreak havoc on your foundation if it goes unnoticed or unattended for too long. Yes! If you come home to a flood or leak that is the result of plumbing issues, quickly turn the water line off that flows to your home and call our water damage Cleveland professionals. Stopping the flow of water will help minimize the damage while we are on our way to you. The latest drying technology that we bring will dry your home out in no time, and then we can get to any necessary restoration services and repair. Don’t let your gorgeous dwelling be inundated with flooding waters without help from our specialists. Contact our water damage Cleveland team with 911 Restoration Cleveland and get the help you need today! Proper home maintenance helps combat problems to begin with. Ensuring gutters and downspouts around the home are free of debris is a common outside chore that also fights against water damage by making sure proper drainage from the roof of your home is occurring. Using a dehumidifier when humidity levels get high is also a smart idea. Lower humidity means less moisture in your home, and this can reduce the risk of mold growth. Homeowners should never feel as if there is nowhere to turn for help with a water damage Cleveland crisis. Every member of our team is fully licensed, insured, and bonded. 911 Restoration has over 35 years of experience in the disaster restoration field and have friendly professionals available 24/7/365 to answer your calls. We will respond to you within 45 minutes and will always provide you with same day service. We value professionalism throughout our company and will always put our customers first by offering services at an affordable price. 911 Restoration works with all insurance companies to provide affordable services and will provide you with a free inspection. We offer the very best choice for services to restore your home, so give our water damage Cleveland team with 911 Restoration Cleveland a call today!